Happy Sunday! 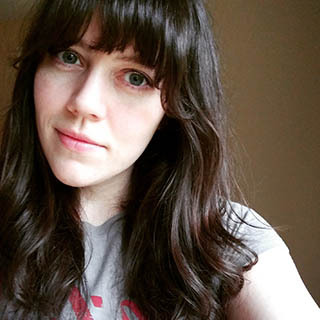 I hope you all are having a restful weekend. 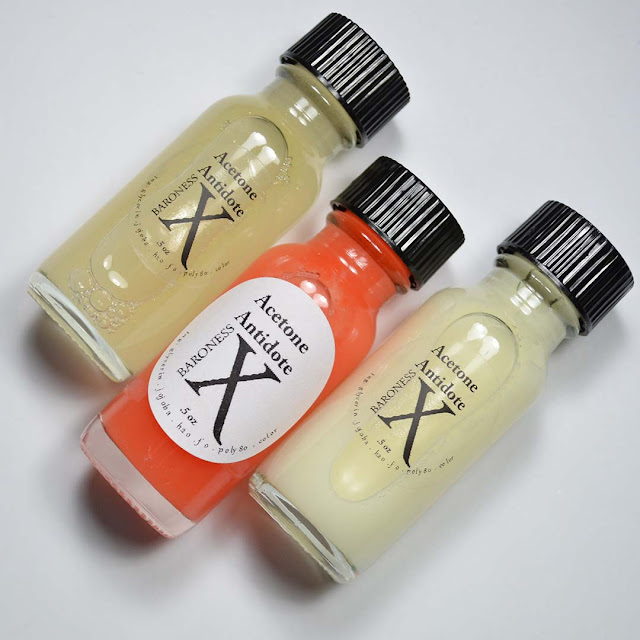 I don't normally do weekend posts but I thought it would be just the right time to check out some fun new scents from Baroness X. Today I have three brand new Acetone Antidote scents to share with you all plus her new Happy Tonic Mood Boosting spray. Aren't her vials just adorable? If you like to recycle like I do, you can always rinse these out when you use your Acetone Antidote and then reuse them to root plant starts. The new Baroness X scents are absolutely delightful! Demi sent me Soft Sugar Cookies, Mango Sorbetto, and Cream Cheese Iced Cake to try out. I was totally unfamiliar with the Tutti Dolci Mango Sorbetto cult following but I can now say I'm a total convert. I need this scent in EVERYTHING! Soft Sugar Cookies and Cream Cheese Iced Cake are quite sweet (which I love), while Mango Sorbetto is more fruity with a bit of sweetness to it. To use Acetone Antidote mix one vial with 6-8oz of acetone. Shake well before each use and remove polish as usual. Acetone Antidote contains glycerin and jojoba which help soften the harsh effects of acetone by leaving behind the moisturizing ingredients. I've been using Acetone Antidote exclusively for several years and I can't imagine going without it. Baroness X Acetone Antidote retails for $4.50/15mL vial for a custom scent, $3.25/15mL vial for a mystery scent, or $3.75/15mL vial for one of the scents of the month. Cream Cheese Iced Cake is currently one of the scents of the month. Happy Tonic Mood Boosting Spray is a brand new room/multi-use spray from Fox Fire that is featured in the Baroness X. It's said to be mood boosting due to the bright, fresh notes of the spray. Happy Tonic is a blend of blood orange, lemon, lime, and bergamot. I'm a big fan of citrus scents, and I can totally see how this could be a mood booster. This can be used on your pillow, linens, or as a room spray. It is not recommended for skin use due to the high alcohol content and photo-sensitivity due to the citrus essential oils. Since this is high in alcohol it will disinfect your pillow and linens if you choose to use that as your application method. 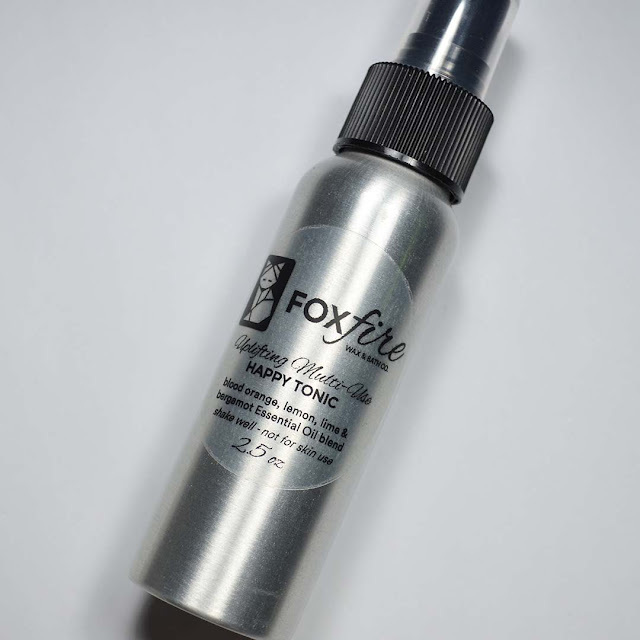 Fox Fire Happy Tonic Mood Boosting Spray currently retails for $5 for a 2.5oz bottle or $9 for two 2.5oz bottles. If you enjoyed this post you might like Baroness X Bow To The Paper Gods & Cherry Ice Cream Smile Acetone Antidote | Polish Pickup March 2019 and Baroness X Fox Fire Black Friday Box Polish Preview | Winter 2018.